John Zeigler and others have given us tremendous insight into the reasons why so many who claim to be true believers in conservatism sold out to someone who is not conservative. However I believe that there is another point that needs to be addressed. The alarming lack of racial and ethnic diversity in the audience of conservative media is one of the main contributors to the rise of Trump. Those of us in the media understand that we have a responsibility to our audience. That is, after all, how we make money. Businesses, organizations and political candidates pay us for access to our audience. No audience, no money. So it is important to understand who your audience is and to cater to them in order to attract businesses that want to speak to that audience. Too often, that does not include people of color. The audience of Fox News, conservative talk radio and most conservative media outlets is overwhelmingly white. Why does that matter? Because if your audience is even somewhat diverse, the cost-benefit analysis of going all in on someone like Donald Trump changes. 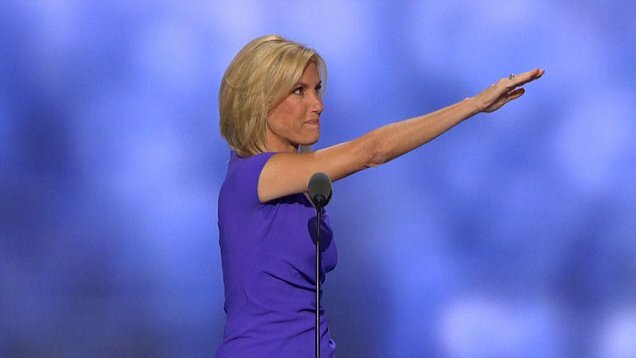 Do we really think that Laura Ingraham would be worshipping at the altar of Trump if even 15 or 20 percent of her audience was Hispanic? Would the multitude of conservative news outlets that essentially serve as Trump’s Pravda be comfortable in that role if they knew that they could lose part of their audience? Conservative Media suffers the same demographic pitfalls as the Republican Party as a whole: its adherents are too old and too white. Outlets and personalities do not even have to consider the sensibilities of a young or racially diverse audience because they are not in the fanbase. They rarely hear from non-activist members of those minority groups and as a result there is no cost to elevating a man that habitually says racist, sexist and xenophobic things. There is no threat of a listener backlash or protest (other than from committed liberals, who are agenda driven anyway). Unless white conservatives themselves revolt against Trump’s media sycophants, they will be free to do whatever they want without any fear of financial or audience repercussions. This development has contributed to the intellectual and ideological ghetto that these outlets and personalities have placed themselves in. If we understand, then, that the conservative media is too racially and demographically homogenous, the natural next question is: what can be done about it? I believe there is nothing that one can do to diversify the audience of the current crop of super famous conservatives. They will live on their financial models until it falls apart (which may be coming sooner than they think). It is going to take new outlets, personalities and the development of a conservative media counter-culture, one that can still be right leaning, but with a different cost benefit analysis. A new conservative media culture that does not cater to demagogues and thinly veiled white supremacists is the only thing that can bring in new people. Had the conservative media audience (and GOP primary voters) been more diverse, the rise of Donald Trump would have never happened in the first place. Imagine conservative talk show hosts or media outlets with even 20 percent of their audience being nonwhite. Now imagine how they would respond to a character like Trump. Would some risk alienating that 20 percent for the 80 percent who may like him? Sure, but many wouldn’t. An outlet with a diverse audience is also more likely to attract white people with different sensibilities, people who would be offended by Trump’s rhetoric and actions. The conservative media runs the Republican Party in a way that we’ve never seen in American politics. If you’re concerned about the electoral futures of the GOP, job number one should be fixing and diversifying the media that controls it. Darvio Morrow is the CEO of FCB Entertainment and co-host of The Outlaws Radio Show on iHeartRadio.